DMX Controller FORGE 192 240 Scenes,6 Chaser,12 Fix. The lightmaXX DMX Controller FORGE 192 is a DMX controller with a proven, simple design. The FORGE 192 can address up to 12 lamps each with 16 DMX channels. Presets can be stored across 30 banks of 8 programmable scenes. There are also 6 programmable chases which can be played by direct selection or "on the run". The speed of the chase and the fade time of the auto programs can be set individually. 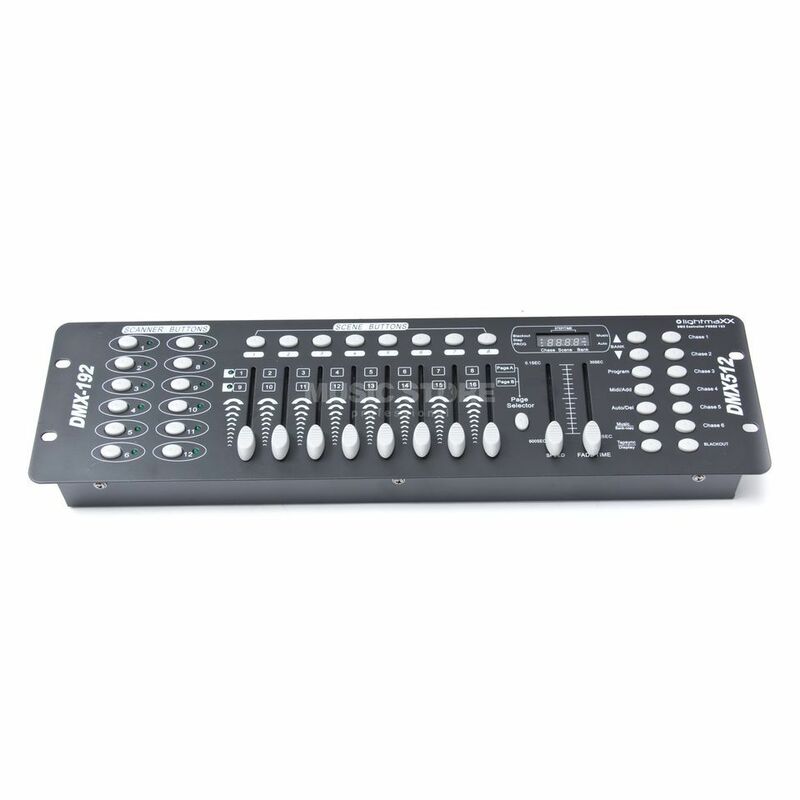 The LightmaXX DMX controller FORGE 192 can also act as an additional fader bank in conjunction with larger light panels. The FORGE 192 is easy to use and can be used in a 19” rack.